Buying a property or an asset? City Valuers and Consultants Sdn Bhd managing director P. B. Nehru shares his views and concerns about the property market. The interest in the property sector the last several years has resulted in developers offering various types of projects. There is a difference between a property and an asset. A property is a place where one lives, or rents out. An asset is a something that grows over time. But the density and plot ratio which new large scale high rise developments are being approved in housing areas are just too high. This is more so where the development is mixed with shopping, small offices home offices, service apartments and offices. 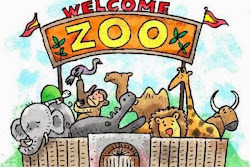 Compare the animals in an overcrowded zoo to the open Savannah in Africa. Which is your choice? Which is healthier? Do you expect distress sales from now till the first-quarter of 2015? I do not think these next two quarters are special. People will buy or sell based on their personal circumstances and/or advice from their personal “guru” – friends, brokers, bankers, or colleagues. If they need a house or property in a particular location, they will keep looking until they find a property that they like and can afford. Whether they buy the property or not will depend on the bank agreeing to lend them the money. If no such property exists in the secondary market, or is offered by a developer in the primary market at their affordable level, they will wait. The buyer is the key, and so are the bank’s lending policies on which the buyer depends. This behaviour will be the same for a developer. He will not announce a drop in price but will offer rebates/discounts/fixtures and fittings to an actual buyer. A seller will most likely be in a position where he cannot afford the monthly bank payment only if he purchased the property for investment or speculation purposes. Those who have owned a property for a long time will hold on until the market changes to their satisfaction, unless if they are migrating or need the money urgently, for example for the education of their children. In my opinion the investor/speculator in higher value properties will usually try and hold on for as long as he can before he actually sells, unless the property is of the lower or middle cost type, in which case, the potential loss is still bearable, relatively speaking. These properties are the ones that will come down first. Are there reasons to believe that the overall property market is going through a slow down or transition? The market operates on the “comparison” basis of valuation. At least two “weak” owners who cannot hold any more must start the “trend” by selling at a reduced price. Then the market, using the comparison method, will follow. This process must start in all localities and in all types of properties for us to say “the market is slowing down”. If only certain properties in certain locations (which were overpriced in relation to wages, rents and actual demand in that location) drop their prices, this does not mean other types of properties will also drop in price. The market is specific for different locations and types of properties. But because banks have tightened their lending criteria, developers (who have to sell properties to earn revenue) will build relatively more affordable properties (all types) in their next launch or reduce the number of units launched at any one period or phase. This is the transition that is taking place now. My views on the residential, commercial office and commercial retail segments ( in today’s market)? Between residential and commercial, the commercial market is more dependent on the rental market which in turn is dependent on the growth in the economy of the locality and in the general economy. Thus, the prices of commercial properties will rise and fall as per the actual occupancy rates and are less vulnerable to the speculative market. Prudent businesses are not going to buy an office or retail space for investment purposes if there are no tenants except if it is for their own use. Tenancies are also fixed for a long term; the owner is thus, sheltered from short-term changes in the market. Hence, commercial properties will be steadier compared with residential properties in terms of price stability. The developer can build any quantity but the buyer will buy only because he needs it for rental purposes or for his own use. Concerns about the property market presently? Yes. I am concerned. The density and plot ratio at which new large scale high rise developments are being approved in housing areas and out of town areas where most local people live, is just too high. This is even more so where the development is mixed with shopping, soho, service apartments, offices, etc. You are creating future potential social problems not to mention traffic, pollution and environmental problems by putting so many units and floor area in one development in one location. Compare the animals in an overcrowded zoo to a well laid out one, or to the open Savannah in Africa. Which is your choice. Which is healthier. I am afraid that with these high density and high rise mixed developments in housing areas, parents will lose control of their children and society will lean towards the weakest link. Pollution like that in Beijing will become the norm and traffic problems will give everyone mental trauma as they age. Quality property management is never a priority in Malaysia so far and almost impossible in a high density situation. Thus, you will be creating future ghettos and loss of asset values.